South Africa's Cooperative Governance and Traditional Affairs Minister Zweli Mkhize. Photo: Supplied by GCIS. Cogta pushes for implementation of forensic report findings, consequence management, and accountability by municipal councils. Auditing disclaimers at South African municipalities would not be tolerated, said Cooperative Governance and Traditional Affairs (Cogta) Minister Zweli Mkhize on Tuesday. As part of financial management interventions to assist poorly performing municipalities, Cogta and National Treasury would set up joint teams to address priority areas and “no disclaimers will be tolerated”, he said. 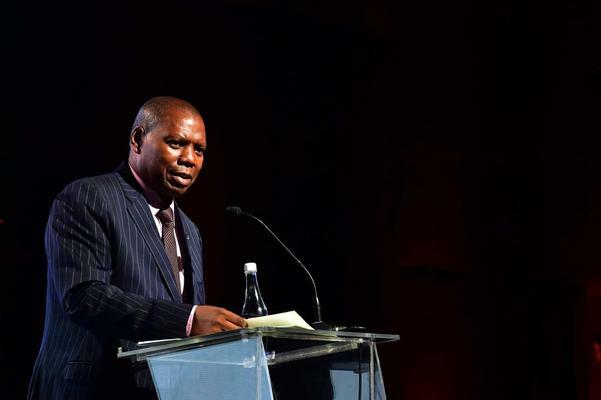 Mkhize was speaking at the 2019 KwaZulu-Natal Local Government Audit Indaba at the Albert Luthuli International Convention Centre (ICC) in Durban on Tuesday morning. Mayors from across the province and high-ranking municipal officials attended the event, which focused on speeding up the rate of municipal service delivery while maintaining financial checks and balances. Mkhize said that priority areas to be addressed by the joint teams – who would be working with their provincial counterparts – included supporting the development of credible, funded and cash-backed budgets, simplified revenue generation plans and support with development financial recovery plans. There would be “a strong focus” on reversing negative audit outcomes. He said that assessments of forensic reports for the 2017/2018 financial year and analysis of allegations reported to the department for the same timeframe revealed that common problem areas were tender and procurement irregularities, nepotism, theft of cash, and irregular, wasteful, and unauthorised expenditure. “The AG’s audit outcome is a very useful yardstick to gauge the general performance of municipalities. Municipalities must use it to ensure improvements in financial management,” said Mkhize. Poor financial management was a major contributing factor to “dysfunctionality and poor service delivery”, he said, and political instability and weaknesses in governance were two of the primary causes of poor service delivery at a municipal level. “Affected municipalities display the following challenges: lack of capacity to plan, deliver, operate, and maintain infrastructure; service delivery backlogs; poor quality of infrastructure; and poor infrastructure carrying capacity or maintenance,” he said. Other challenges included a low services reliability index, fraud and corruption, political instability, killing of councillors and officials, persistent apartheid spatial planning, and illegal municipal investment in VBS. Processes and systems for citizen engagement were “generally weak in municipalities categorised as dysfunctional and at risk” and this contributed to social distance and discontent. He said governance and financial interventions provided by Cogta included recruitment and selection of competent managers in critical senior position and enforced compliance with the Municipal Systems Act and its regulations on competence requirements. It was also compulsory for municipalities to utilise a database of employees dismissed for misconduct, fraud, corruption, and blacklisting. “We have also taken measures to ensure that senior staff who are dismissed in one municipality do not occupy a position in another municipality,” said Mkhize. Cogta was also pushing for implementation of forensic report findings, consequence management and accountability by municipal councils and to strengthen collaboration with the South African Revenue Service and law enforcement agencies such as the Hawks and the Special Investigative Unit (SIU) regarding investigations and prosecutions of transgressors.